Life as an expat teaches you a lot about the new country you move to -- from the culture to the language -- but along the way you also learn a lot about yourself. 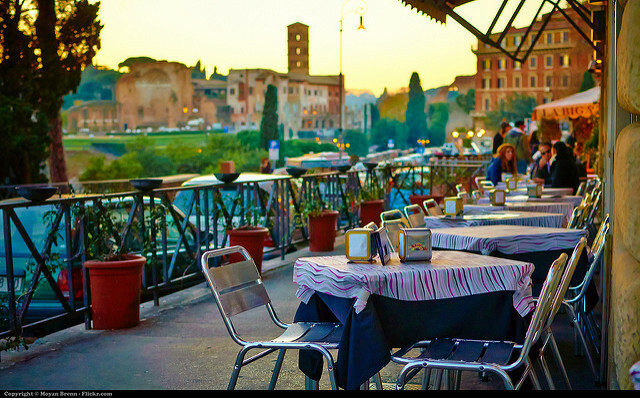 Life in Italy can be very different to what you are used to and will certainly show you a new way of living. Not only will you change as you grow and adapt to the way of life here, but you will also see things through a different lens. Here are just some of the things you will learn when you move to the Bel Paese. If you move to Italy as an introvert you will likely worry about how you will find a new circle of friends, especially if you are making the big move on your own. You needn't worry. Italians are some of the most welcoming people you will meet and will quickly welcome you into their community, especially if you speak a word or two of Italian, which will thoroughly impress them. And even if you don't manage to find Italians to bond with, or are just too worried about your language skills to jump into a conversation with the group of Italians you saw at the café, you don't need to panic. There are many networks out there, such as InterNations, to help you move abroad and meet friends at events in your new city. You will look back after a short time away and wonder why you ever worried that you would be lonely. Within a short time of moving to this Mediterranean country, you will quickly learn the importance of food and coffee. Sure you might have loved both before, but until you experience a true Italian coffee and the wonder that is "aperitivo" (free food supplied with your drink purchase, of an evening), you have not truly experienced how brilliant they can be. Italy has a variety of different regional foods all just waiting to be discovered, all equally fantastic. If you are in Naples, you will surely quickly discover a "true" pizza in the city of its origins. Meanwhile if you choose Bologna as your destination, you will learn that spaghetti Bolognese is not a thing in Italy, and the closest you will get, and indeed much better, is the traditional tagliatelle al ragu. While some things may seem peculiar, at least give them a chance, you will discover new tastes and new favorites in no time! If you are from a country such as Germany or the UK, you will likely find it hard to feel comfortable at first in Italy. Why? In one word: timing. Italians have a very different conception of time to other countries and if you come from one of these countries who value punctuality above all else, you will likely find it confusing and downright hard to accept at first that Italians are often up to half an hour or an hour late for an appointment. But after you spend a while there, you will acclimatize and, while you may still find it mildly irritating, you will learn the Italian system of appointments. You will accept that this is just a more relaxed culture and, when you go back home, you may even struggle to keep to appointments yourself. Possibly due to placing less importance on punctuality, Italy has the art of avoiding too much stress down to a t. You will first notice this in the leisurely way people make their way from A to B, and later in people's general attitudes to life. This may seem strange if you are from a country that places importance on work and haste, but it is one of the most refreshing parts of living in Italy. You will find yourself worrying less and learning to live more in the moment, appreciating the smaller things in life without worrying about what the future will bring (or even if you are late!) This paired with the coffee and aperitivo culture in Italy make life in this beautiful country a joy and you will probably find yourself wondering how you ever lived anywhere else!